Do you dream about becoming a superhero? What kind? 5th graders from DC's School Within a School discuss "Public School Superhero" by James Patterson and Chris Tebbetts. In the book, our hero Kenny dons his alter ego Stainless Steel just to survive at a very lousy middle school. 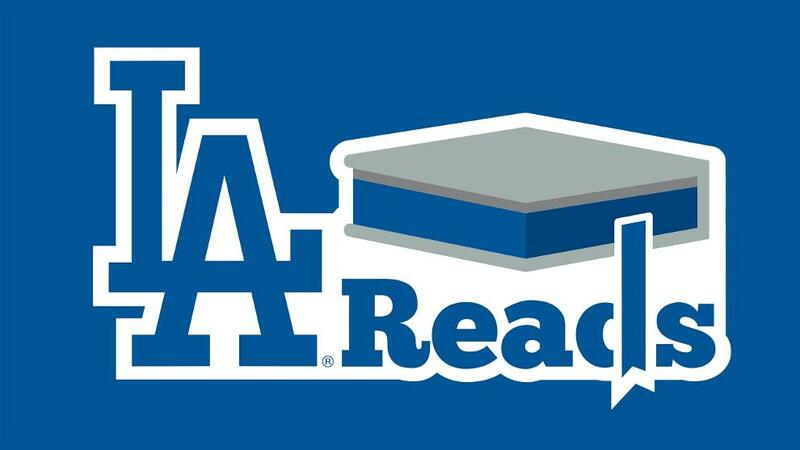 Actor Chuma Hunter-Gault is our celebrity reader and Chris Tebbetts joins us to talk about collaborating. Kitty Felde is host. Would you like to be a legend? To have people tell stories about you long after you’re gone? Would you like to be “Maniac Magee” by Jerry Spinelli? This Newbery Award-winning classic is our Book Club for Kids pick this week. 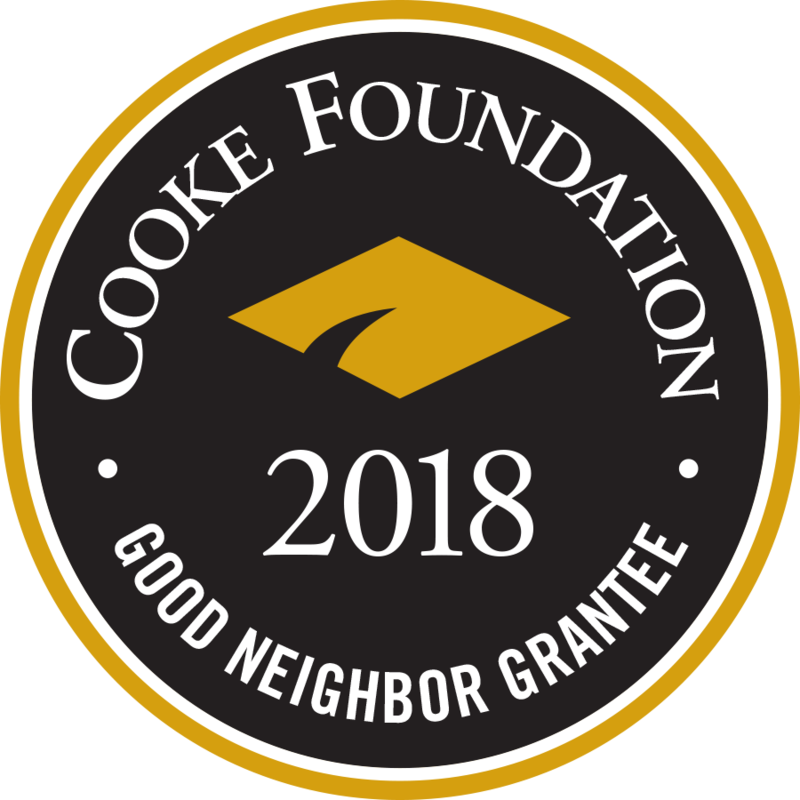 Our readers are from Anne Beers Elementary School in Washington, D.C. and John Michael Higgins (“Pitch Perfect” and “A Mighty Wind”) is our celebrity reader. Kitty Felde is host. Want to be an FBI agent? Check out this episode featuring Ed You, the FBI agent who protects us from weapons of mass destruction. Want to watch more Book Club for Kids videos? Click here. Would you like to grow up on a desert island with no adults to boss you around? That's the locale for our book "Orphan Island" by Laurel Snyder. 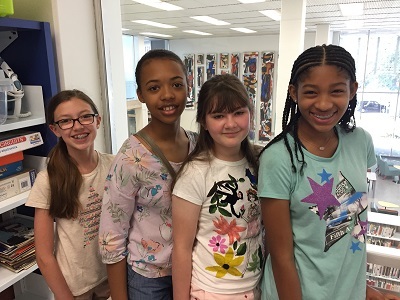 Our readers from Percy Julian Middle School in Oak Park, Illinois talk about the challenges of growing up and try to get our writer to disclose some of the answers to the mysteries in the book. 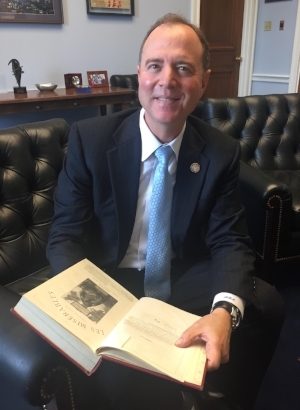 Congressman Adam Schiff, chair of the House Intelligence Committee, is our celebrity reader. subscribe now on apple podcasts and never miss an episode! This week, we get a new look at an old fairy tale – the story of the Russian witch known as Baba Yaga. A boys book club in Portland, Oregon met us at Powell's Books to discuss Katherine Marsh's novel "The Door by the Staircase" with host Kitty Felde. 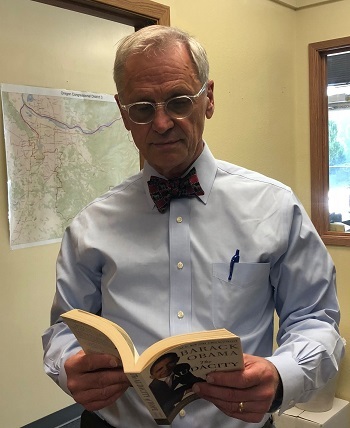 Congressman Earl Blumenauer, who represents Portland on Capitol, is celebrity reader. 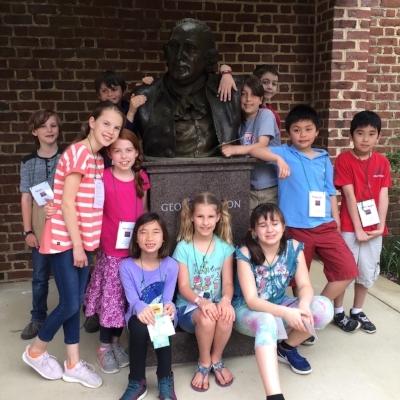 This week, we talk to group of young writers who met for a workshop at Virginia’s historic Gunston Hall, home of founding father George Mason. Host Kitty Felde asked these writers our favorite question: what’s your favorite book? ‘The Watsons Go to Birmingham, 1963” touches on a tragic moment in American history: the bombing of the 16th Street Baptist Church. But it’s really a family story about a road trip. 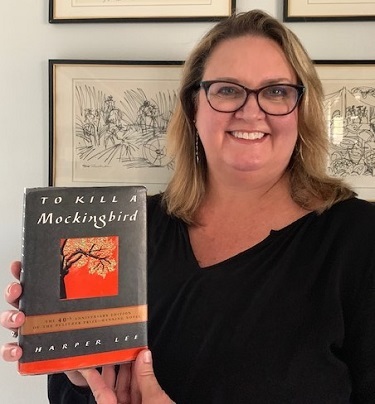 Readers from Two Rivers Public Charter School in Washington, DC discuss the novel with host Kitty Felde. Writer Christopher Paul Curtis won the Newbery, the Golden Kite, and the Coretta Scott King awards for this book. He talks about how all those statues allowed him to become a full time writer. Our celebrity reader is actor Quinn Marchman. Thanks to Tim Podell at Good Conversations for sharing the interview with Christopher Paul Curtis. This week, we tackle a classic – the 1963 winner of the Newbery Award “A Wrinkle in Time” by Madeleine L’Engle. Our readers are 5th graders from the British International School in Washington, DC. Our celebrity reader is public radio journalist Stephanie O’Neill. Madeline L’Engle passed away in 2007, but we're joined by her granddaughters Charlotte Jones Volklis and Lena Roy. They've written a new biography of their grandmother based on her journals called “Becoming Madeleine.” Kitty Felde is host. Every summer, we ask our interns to pick their favorite episode. UC Irvine graduate John Gomez chose Claire Legrand's novel "Foxheart." Witches, monsters, and a brave little thief. Those are the ingredients in the book. Book Club for Kids fan Kailas and her two fellow readers Iona and Gabi discuss the novel at Boulder Bookstore with host Kitty Felde. Our celebrity reader is actor Wesley Mann. Writer Claire Legrand explains how "Foxheart" began as a short story challenge. Wesley Mann has acted in film, television, microphone and onstage for over thirty years. You may recognize him as Mr. Lawler on "That’s So Raven," Mr. Bell on "Liv And Maddie," and The Caterpillar on "Adventures In Wonderland." Get your copy of "Foxheart" now! Order here from our friends at Hooray for Books!